Hiring new employees is easy as pie, right? Sure, if you’ve been doing it for a while already - you just need to put out your job advert and then start to check out all the applicants once they start to roll in. Unfortunately, though, hiring your very first employee isn’t quite that easy. There are actually a lot of things that you need to prepare and sort out within your company once you are ready to begin hiring staff. Most of these preparations are legal requirements while others will just help you and your company prepare for all the new people you will be welcoming into your working day! So, ready to start looking for the new allstars of your company? Here are some things that you need to do before opening your business to employees. 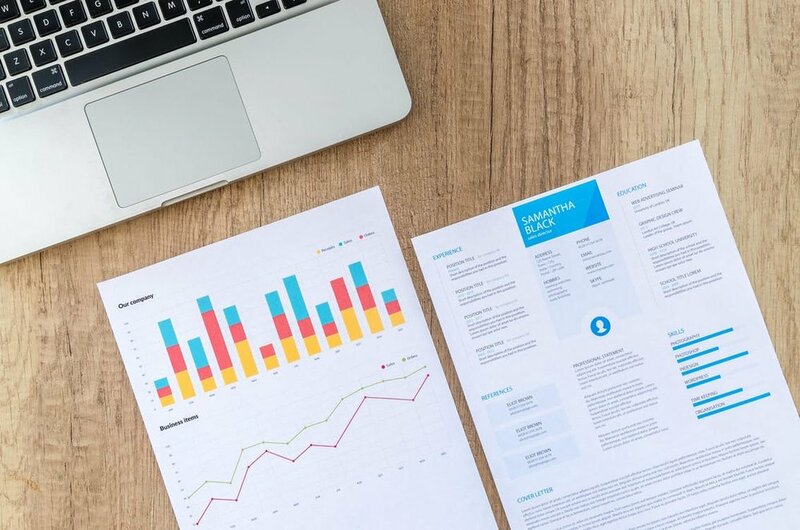 Hiring staff can be very expensive so you will need to look at your company finances and figure out whether or not you can actually afford to go through with it. The first big expense you will encounter will be the whole recruitment process. You will need to pay to advertise your job adverts on certain websites and with recruiters. In fact, using recruiters can be costly, but will certainly take a load off your mind, especially if you are preoccupied with other jobs within your company. Next, you need to make sure that you can actually afford to pay someone. Don’t just take their salary into account when you are trying to budget for this - you also need to remember that you will be legally obliged to contribute to their pension plan and also provide them with paid holidays and sick leave. Overall, this can be a big expense for your business. We're currently hiring for sales executives, editors, graphic designers and more! One of the main parts of a job advert is the job description. This will let everyone know the type of position you are hiring for and the exact type of person you are looking for. Make sure that you mention the kinds of knowledge, qualifications, skills, and experience that you want to see in the applicants. It is really important that you spend plenty of time writing up this description as it will help you in the long run. That’s because it will be clear what you are looking for, and you won’t feel that your time is wasted too much by the wrong type of applicants applying for the job. If you don’t take much care writing your job description, you will find that you waste time and money trying to sift through a lot of pointless applications. If you visit Barros McNamara Malkiewicz & Taylor on the web, you will see that it can be very easy for employees to take their employer to court and receive compensation for any workplace accidents and injuries that weren’t their fault. So, to ensure that your company isn’t damaged too much by the financial ramifications of being taken to court and sued, it’s important to protect it with plenty of insurance. After all, you can’t totally prevent any types of accident from occurring, so it’s best to protect yourself with plenty of insurance protection. Make sure you have lots of business insurance, especially employer’s liability insurance. This covers employee injury, illness, and deaths that might take place in the workplace. I’ve already mentioned that employing full-time employees can be very expensive, but there is one way around that - you could look for contractors and freelancers instead. These are self-employed individuals who will work for your company on a project-by-project basis. As they aren’t technically full-time employers, you won’t have to worry about providing them expensive perks, such as paid time off for holidays and sickness; if they don’t work, they don’t get paid. Hiring a contractor will probably be the best bet if you just need some extra help with some short-term projects. As soon as they finish one project, you can stop paying for them as they will no longer be working for you. Of course, if you have more work for them in the future, you can always bring them on board for that! How is your diary looking for the next couple of months? If it is already jam-packed then you might want to hold off on the whole recruitment process until you get a bit more free time on your hands. That’s just because carrying out interviews and going through all the different applications will take up a lot of your time. It will certainly distract from some of your other important tasks. While you are hiring some new staff, you might want to start working later for a couple of weeks just so you can fit everything in that needs to be done! Before you can start hiring some new employees and paying them, you will need to set up a payroll. This is required for issuing paychecks and sorting out all of your employees’ tax payments and pension contributions. Thankfully, you can now purchase software and computer programs that can automate all of this for you. But if that even sounds a bit too complicated, you could hand all of this over to your accountant. They can take care of your payroll for you. Once you do start to grow your company and create a HR department within your business, your HR staff will be able to carry out payroll, so this can be brought back inhouse. Once you bring a new employee into your company, you should start documenting everything. That way, you can clearly outline all of your expectations. To do this, create an employee handbook. You can also fill this with company policies and other useful information. This can then be handed out to any future new hires to help them with their onboarding training. You should now be ready to hire employees!